1. Log in to your account in portal.zeald.com. 2. On the SSL Certificate section, click Renew. 3. Your SSL certificate renewal will need to be confirmed by the domain owner. Select an email address where you want the validation email sent. 4. 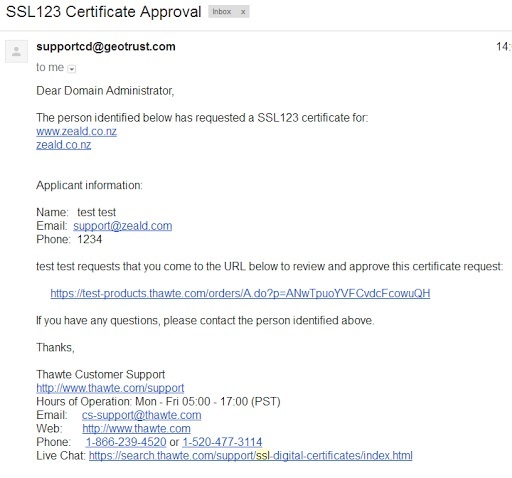 You will receive the SSL certificate approval email on your selected email address. Click on the link to approve the request. 5. 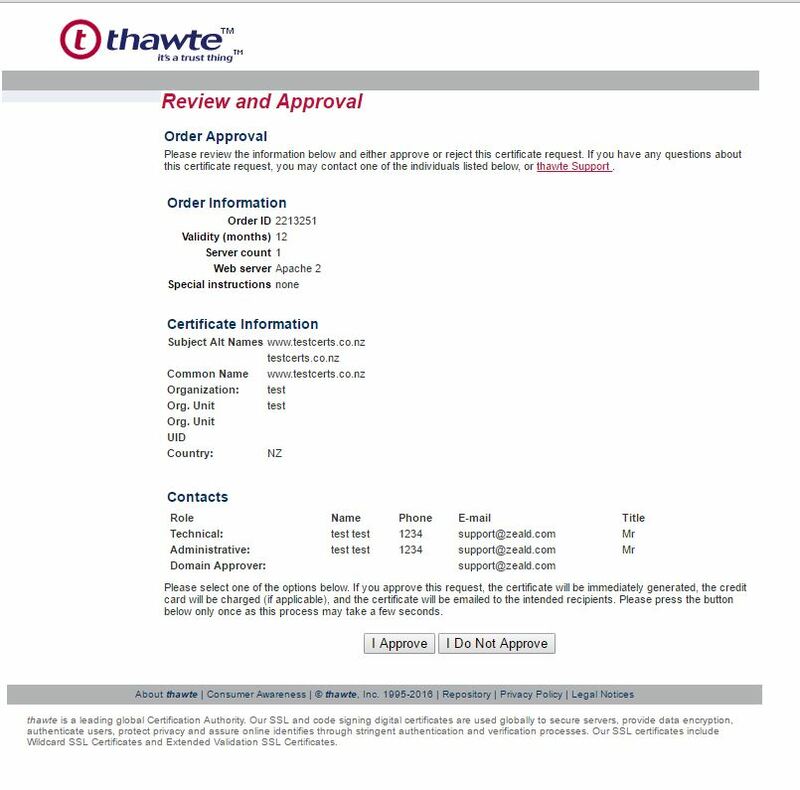 Click I Approve to confirm purchase. Once the order has been completed, Geotrust (our SSL certificate provider) will provide you with the SSL key and certificate.